Amidship helps you get a head start on your bookkeeping. 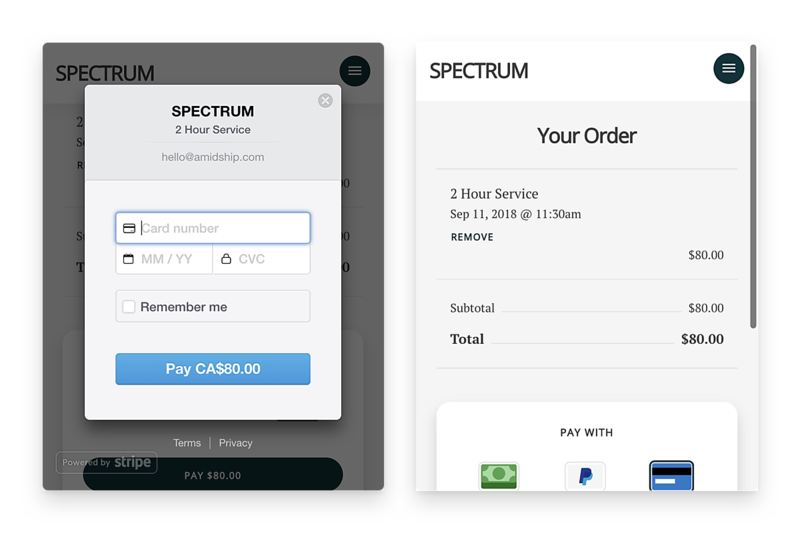 From keeping track of orders and payments, to sending receipts - we’ve got you covered. 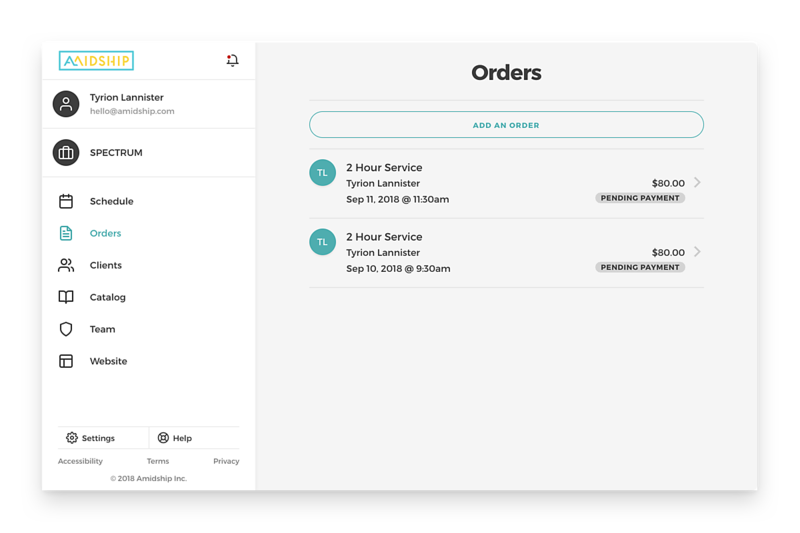 With Amidship, you can generate invoices for every sale you make. 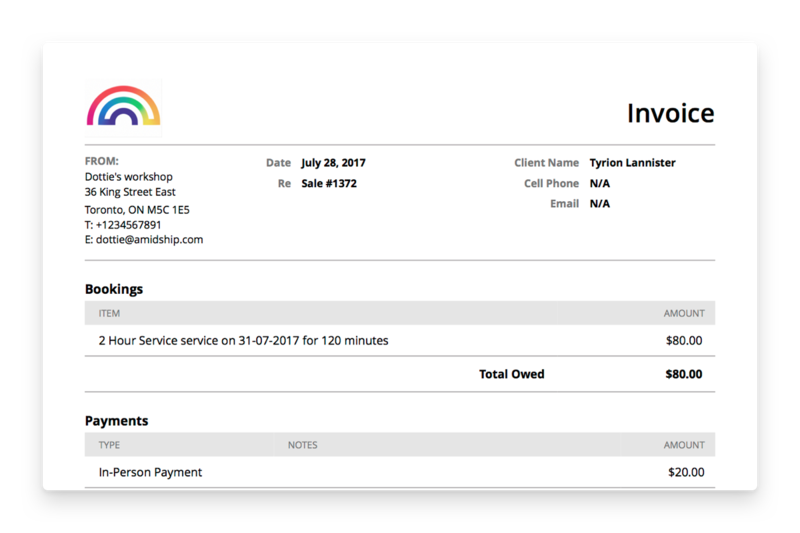 Plus, once you get paid, we automatically send receipts to your clients. Keep a record of your sales in one place. Amidship goes beyond appointment scheduling to help you track your income. Amidship helps you keep your finances up-to-date. Record your payments, tips, and discounts to ensure that you never lose track of unpaid sales. With Amidship, you can collect debit or credit card payments before each appointment. 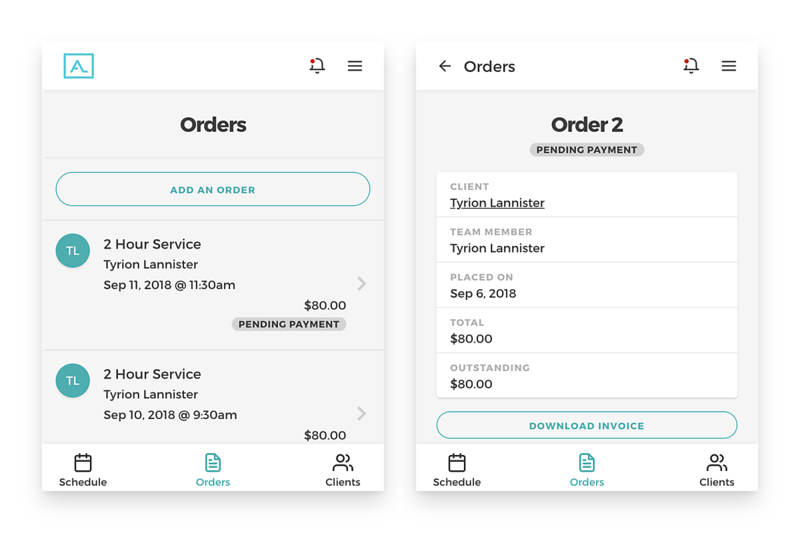 You can even set up automated payments for repeat clients to save you both time.